High frame rate (more than 60 FPS) breaks the game speed. High FPS speeds up gameplay (see Game runs too fast). 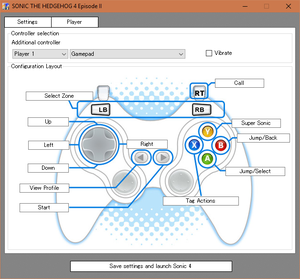 Download Sonic 4 Episode 2 Adjustable FOV. Extract D3DX9_43.dll to the installation folder. Open D3DX9_43.dll with a hex editor such as HxD. Go to offset 0x1B057A and replace the bytes 00 00 80 3F with bytes representing your float value multiplier (the default multiplier is 1.0). Remember to invert the byte order to Little Endian. 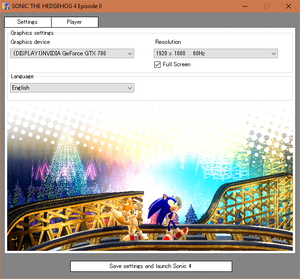 There's also a Cheat Engine table to change the game's FOV anytime while running (requires D3DX9_43.dll). Create new profile and add Sonic.exe. Set Antialiasing Compatibility to 0x000012C1. Set Antialiasing Mode to Override any application setting. 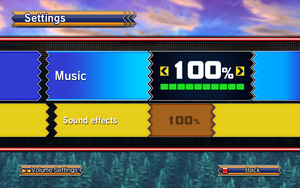 Set Antialiasing Setting to 8x Multisampling or your desired level of MSAA. Set Antialiasing Transparency Supersampling to 8x Sparse Grid Supersampling or your desired level of SGSSAA. Apply changes and run the game in fullscreen mode. To assign Space to an action, hold down Space and press another key. Go to the properties for Sonic_vis.exe. 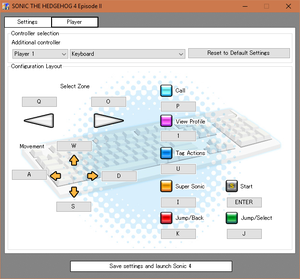 On the Compatibility tab, choose Run this program in compatibility mode for: and choose Windows 7. After exiting the game you may need to manually kill Sonic_vis.exe from the Task Manager. Game may run at a very high speed. Use one of the following methods. See Frame rate capping to lock frame rate to 60 FPS. 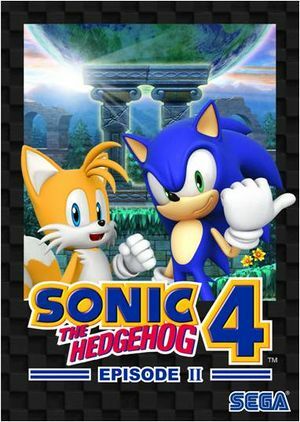 Force Vsync in the graphics card control panel for this game only. Fullscreen mode is limited to 60 Hz, even if the screen refresh rate is set higher than that. Open d3d9.ini in the installation folder. ↑ 2.0 2.1 File/folder structure within this directory reflects the path(s) listed for Windows and/or Steam game data (use Wine regedit to access Windows registry paths). Games with Steam Cloud support may store data in ~/.steam/steam/userdata/<user-id>/203650/ in addition to or instead of this directory. The app ID (203650) may differ in some cases. Treat backslashes as forward slashes. See the glossary page for details. This page was last edited on 12 April 2019, at 19:54.